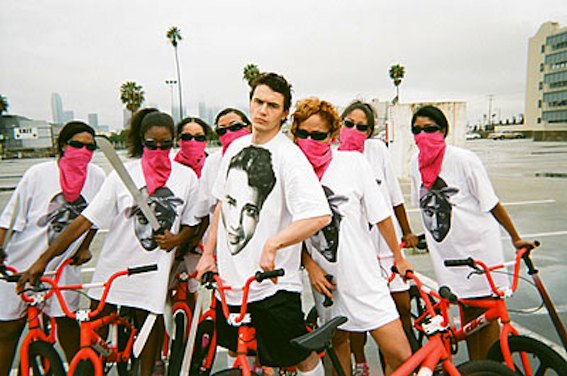 It has been some time since I have gushed over James Franco, so here I go. Today I am sharing information about his new art installation REBEL at LA MOCA which focuses on James Dean and the making of Rebel Without a Cause. 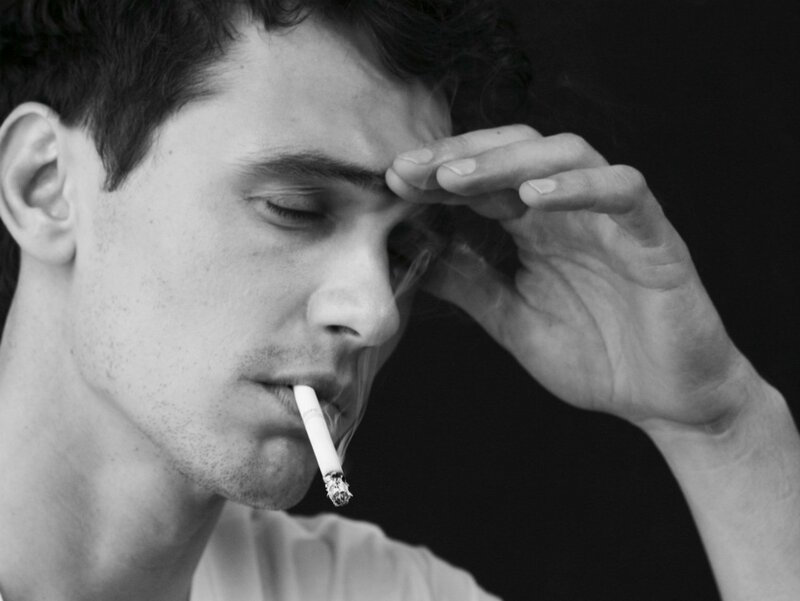 Basically, Franco created a replica of 1950’s Hollywood as it relates to Rebel Without a Cause – both it’s movie sets and places associated with its filming and rehearsal. With structures consisting of bungalows, pools, and the Hollywood Hills, Franco and his team of artists experiment with the mythology of the movie through sculpture, video, and photography. 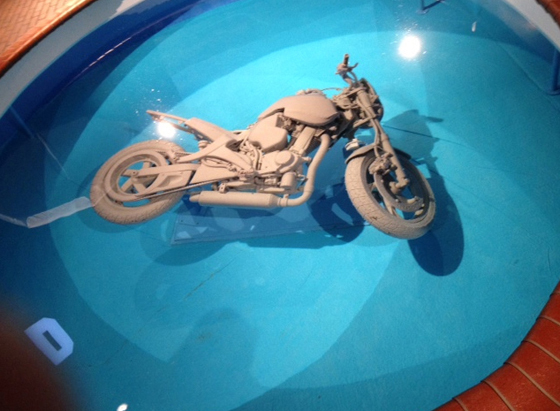 Viewers can walk through the installation and feel like they are hanging out with JD himself – or at least his drowned motorcycle. Below are two features with interviews with Franco and the other artists involved in the work created by Nowness.com and I have also included some imagery from the exhibit . Very cool, man. Especially the part with naked chicks engaged in a gang fight? Decide for yourself.